Astor were proud to be involved in helping realise the design of Jade Oakley, sculptor, in 2014. Once brass-plated, jade worked closely with the team to ensure the right aging and bronze result was achieved. 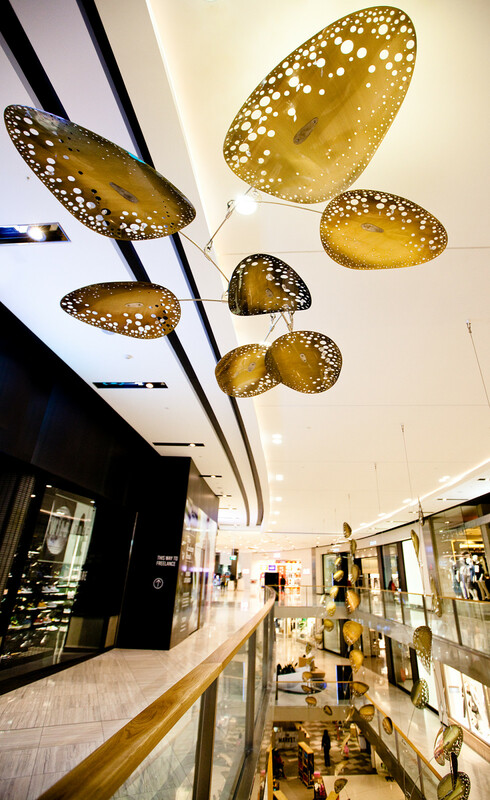 ‘Constellation’ is a series of mobiles commissioned by Westfield Miranda, made from electroplated aluminium and stainless steel. The mobile elements have been perforated so that one edge appears to dissolve into the light. Adding to the flashes of natural light through the perforations are twinkles of hundreds of crystals installed underneath the elements. The electroplating has been done lovingly by hand, with each element bearing a different tone of aged brass. 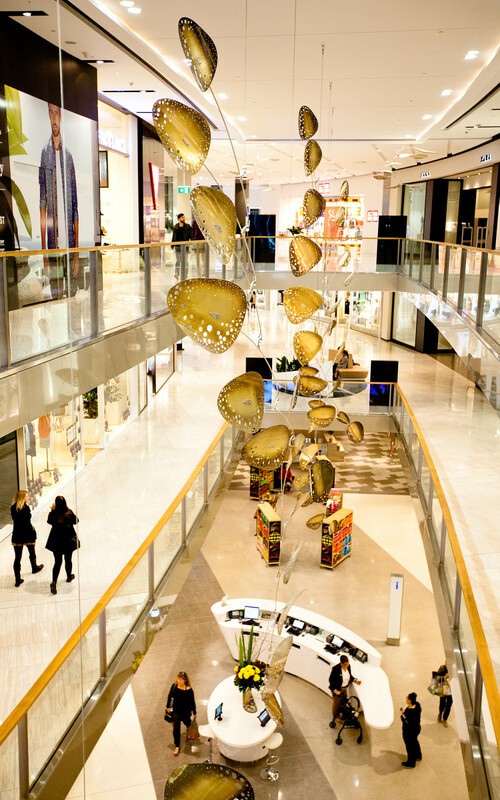 The mobiles are installed in the large voids between levels of the shopping centre, and they drift slowly in the air, catching air currents and reflecting light.